A Future That Doesn’t Work? 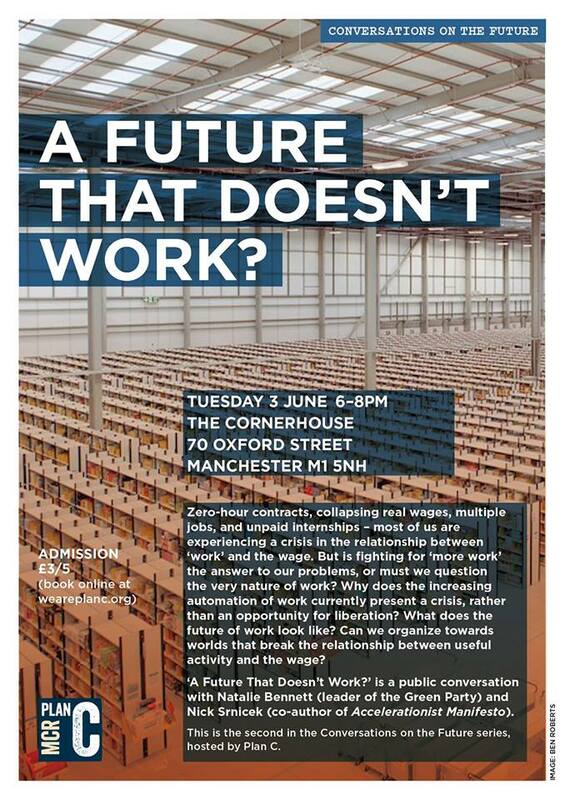 ‘A Future That Doesn’t Work?’ is a public conversation with Natalie Bennett (Leader of the Green Party) and Nick Srnicek (co-author of the Accelerationist Manifesto). Hosted by Plan C Manchester. Please register for your place on Eventbrite using the link below. This entry was posted in Activities and tagged A Future That Doesn't Work?, Accelerationist Manifesto, cornerhouse, Leader of the Green Party., Natalie Bennett, Nick Srnicek, we are plan c by tamesidegreens. Bookmark the permalink.